The U.S. Army Honor Guard firing party fires three folleys during the funeral of U.S. Army Sgt. 1st Class Mihail Golin in Section 60 of Arlington National Cemetery, Arlington, Va., Jan. 22, 2018. Golin, an 18B Special Forces Weapons Sergeant assigned to 10th Special Forces Group (Airborne) died Jan. 1, 2018, as a result of wounds sustained while engaged in combat operations in Nangarhar Province, Afghanistan. Arlington National Cemetery will reach full capacity by the early 2040’s if changes aren’t implemented soon, according to the Army National Military Cemeteries executive director. 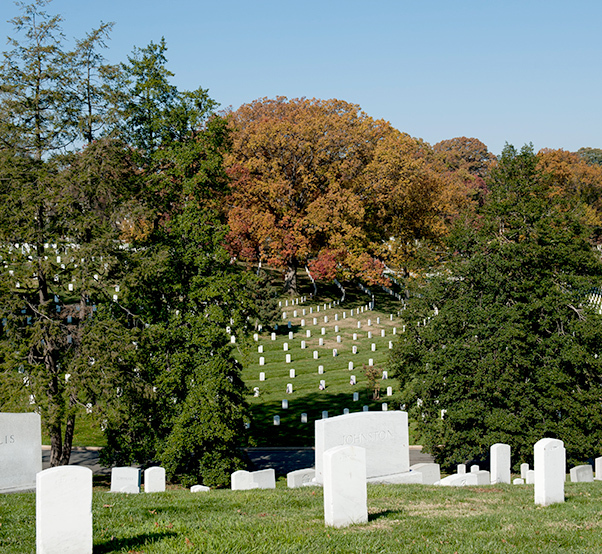 Arlington National Cemetery will reach full capacity by the early 2040s if changes aren’t implemented soon, according to the Army National Military Cemeteries executive director. “Arlington National Cemetery is an iconic place devoted to honoring the memory of individuals in the armed services who made a significant commitment of service to the defense of our nation,” said Karen Durham-Aguilera, during a House Armed Services Committee briefing about Arlington’s current and future plans, March 8 2018. “The Army recognizes that the cemetery is at a critical point in its history … changes to eligibility combined with expansion will ensure Arlington continues to be an active cemetery well into the future,” Durham-Aguilera said. In February 2017, Army officials engaged with Congress to explain how the current space constraints limit the amount of time Arlington National Cemetery will be able to continue to serve veterans. Current eligibility requirements for in-ground burial at ANC are the most stringent of all U.S. national cemeteries. Nevertheless, most veterans who have at least one day of active service other than training, and who have been honorably discharged, are eligible for above-ground inurnment at the cemetery, officials say. “It’s a tough reality. The current veteran population is over 20 million. The retiree population is over two million. The total force, both active and reserve, is over 2 million right now. Today we have around 100,000 available burial spaces. We cannot serve that population,” Durham-Aguilera said. During that 2017 meeting with Congress, Army officials outlined considerations for additional expansion opportunities beyond current boundaries, and evaluated alternative ideas for maximizing the space within the cemetery’s geographic footprint, Durham-Aguilera said. 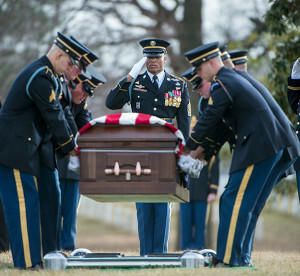 The U.S. Army Honor Guard, The 3d U.S. Infantry Regiment (The Old Guard) Caisson Platoon, and The U.S. Army Band, “Pershing’s Own”, conduct the funeral of U.S. Army Sgt. 1st Class Mihail Golin in Section 60 of Arlington National Cemetery, Arlington, Va., Jan. 22, 2018. “With no changes, we would be out of space in the early 2040s. 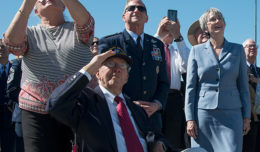 If (Arlington) were to get a southern expansion, that can push us for another ten years,” said Katharine Kelley, Arlington National Cemetery superintendent. Still, she characterized the value of that possible expansion as not providing a significant gain for the cemetery. In addition to the physical expansion, Arlington officials have considered increasing the amount of niche wall inurnment sites. However, that option would only serve as a temporary solution and could change Arlington’s “iconic look and feel,” Kelly said. Moving forward, Army officials have determined a need to redefine Arlington’s eligibility criteria for interment and inurnment. The last significant change to Arlington’s eligibility criteria was in the late 1960s, Durham-Aguilera added. Another, more recent change occurred in 2016 when active duty designees were added to the above-ground eligible population at ANC. These groups consist of about 200,000 active duty designees, or nearly double the current capacity at the cemetery. To help make a better-informed decision about the cemetery’s future, officials conducted an initial public survey about burial options in November 2017. Out of the 28,000 people polled, 94 percent agreed that the cemetery should remain active well into the future. Additionally, over 50 percent of those who were in favor of expansion also recognized the need to modify eligibility policy. Further, if no expansion is possible, a full 70 percent were in support of restricting eligibility in some manner to extend the life of the cemetery. Arlington National Cemetery will reach full capacity by the early 2040’s if changes aren’t implemented soon, according to the Army National Military Cemeteries executive director. 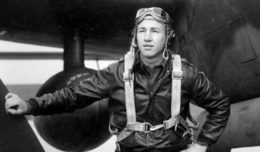 Based off the survey results, officials are now considering restricting Arlington’s eligibility requirement to service members killed in action, Medal of Honor and high award recipients, former prisoners of war, and military members that were killed while on active duty during operations or training, Kelley said. Arlington officials are slated to conduct another survey in the coming weeks. At the conclusion of the study, results and recommendations will be compiled by cemetery officials and released to the secretary of the Army. From there, information from the study will be shared with the other armed forces secretaries and the secretary of defense, and eventually released to Congress, Durham-Aguilera said.